Migraine Monologues: MIGRAINEUR OF THE MONTH: MISS MARCH! MIGRAINEUR OF THE MONTH: MISS MARCH! I am excited, honoured and thrilled to present the lovely Miss (but not for much longer) Emily Guzan as Miss March, Migraineur Of The Month! Emily writes one of my FAVOURITE migraine blogs: That M Word, full of pithy, insightful and funny words of wisdom about living with well, 'that m word'. Emily is due to get married this summer and here she talks about how migraines are affecting her wedding plans, how they've shaped her career choices and how you better not say 'I had a headache and thought of you!'. This die hard Pittsburgh Steelers fan is an inspiration to all of us living with a chronic pain condition and I'm now off to buy myself some 'Kool 'n Soothe' patches on her recommendation. The lovely Emily - Miss March! Can you remember and describe your first migraine? I have had headaches for as long as I can remember. My first migraine (note the difference!!) was when I was a junior in college. 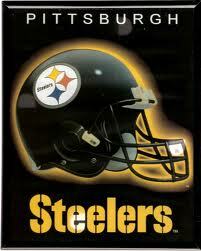 My friends and I watched our football team, the Pittsburgh Steelers, win the Super Bowl. After the game, the students were so excited (and probably so drunk), they all ran into the streets and started rioting. I was trying to walk back to my residence hall, and people were flipping over cars and lighting things on fire – it was quite a scene. The police came and were trying to calm everyone down. I had a headache the whole time and I noticed that the sounds and lights seemed to make my head feel worse. I had never experienced a sensation quite like that. My friends stayed to watch the scene, and I left to go to my room. All I wanted to do was lie down in the dark and put a cool washcloth on my face. I had never had a headache with that type of intensity before. Someone told me to remember that flight attendants always tell you to put your oxygen masks on before helping others with theirs. It reminds me that I have to put my health first before I can be of any use to anyone else. My worst triggers are hormone changes and weather changes. No matter what I do, such as exercise and sleep the right amount, eat correctly, or avoid all other triggers, those two are just inevitable. In terms of food triggers, MSG, alcohol, and shellfish are my worst. I think the assumption that migraine is not really a serious disease and is something that can just be joked about in passing is very hurtful. I have been very vocal about the effect it’s had on my life, and so many people, even close friends and family sometimes do not understand that. People always tell me “I had a migraine and thought of you” or “every time I get a headache, I think of you.” It is a really terrible feeling to hear that. I wish they'd associated anything more pleasant with me. My mom survived breast cancer, and it’s not like people openly say to her, “Every time I think of cancer, I think of you!” I don’t understand why people think they can say that to someone suffering with chronic pain. Well, unfortunately I did have to leave a career, mostly because of migraines, and I honestly was not sure if I would ever work again. I know some people with migraines physically cannot. 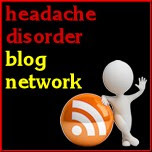 I am really proud of myself for blogging and connecting with the migraine community. Connecting with my virtual migraine community every day gives me strength I did not know I had. I am especially proud of myself for starting a second career. My new career is much more suited to my personality and is more of a “helping” profession. 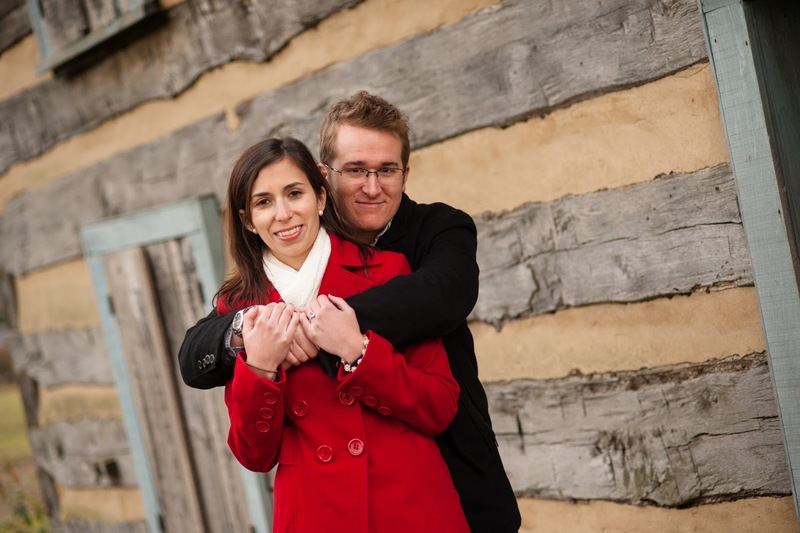 How have migraines affected your Wedding plans? I was really nervous to plan a wedding but I didn't realize how kind my core support system, namely my mom and my fiance, would be about my migraines and sensitivities in planning. One of the reasons I love my fiance so much is that he has been so incredibly supportive about my migraines, especially during times when not many others have been. During the wedding planning process, my mom and my fiance have been focused on making it a fun, happy day for everyone - and that means me not getting a migraine! I think they realized that a wedding with a bride in the ER would probably not be a very fun wedding at all. For example, when my fiance was interviewing DJ's, he selected one who used small speakers placed around the reception area, rather than two large speakers because he thought that would be better for my sound sensitivities. My mom and I are going to put inserts into the wedding invitation with a little rhyme asking that wedding guests not overdo it with the hairspray and perfume because if I hug 200 people, each with a different fragrance, that will be a migraine for me! I also am not going to wear high heels because I know that will give me a migraine. I have no idea if any of this will work, but I so appreciate the caring, considerate attitudes of my support system! I will be sure to update you after this summer! If you could be The President for a year what would you do!? That is definitely not a job I would want!! I hate talking politics so I will just say what I would do regarding migraines. 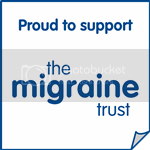 I would love to provide more funding for migraine research and raise awareness of what migraines actually are (not just a headache) and how they actually affect us. I can’t even imagine the effect that having that kind of a platform might have on raising awareness! I am a lawyer turned blogger and counselor-in-training. I blog about migraines and chronic pain and sometimes my Raynaud’s as well. When I’m not talking about health, I play with my cat, Larry Fitzgerald, plan for my wedding this summer, cook vegetarian food, and cheer on Pittsburgh sports teams. 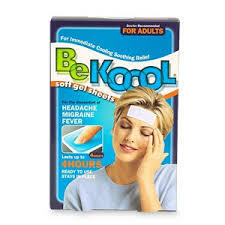 When I showed the 'kool n sooth' packs to Dr Elrington at the Migraine Centre he laughed and told me not to waste my money. My family kindly gave me one to try and as soon as i opened it I had to try not to vomit at the smell, so if you get naueous with a migraine theyre useless. I have to say Im glad i took Dr Elringtons advice as after using the pack my migraine was not in the slightest improved! Oh good old Dr E, gotta love him. I don't think Emily is suggesting they're a magic fix but that they help HER with her pain - and your comment just goes to show how different we are all - and what works for some, upsets others! Personally, I'm a fan of the LLoyds gel packs you put in the freezer as I find its a more intense cold, but that's just me - but these are probably great for travelling/having in your bag etc - so I might give them another go! Hope you're well today! Lovely to hear more about Emily and her journey with migraines. 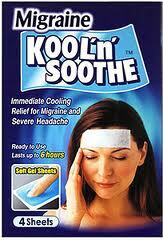 I swear by the Kool n Soothe strips too. Can't wait to hear more about the wedding! 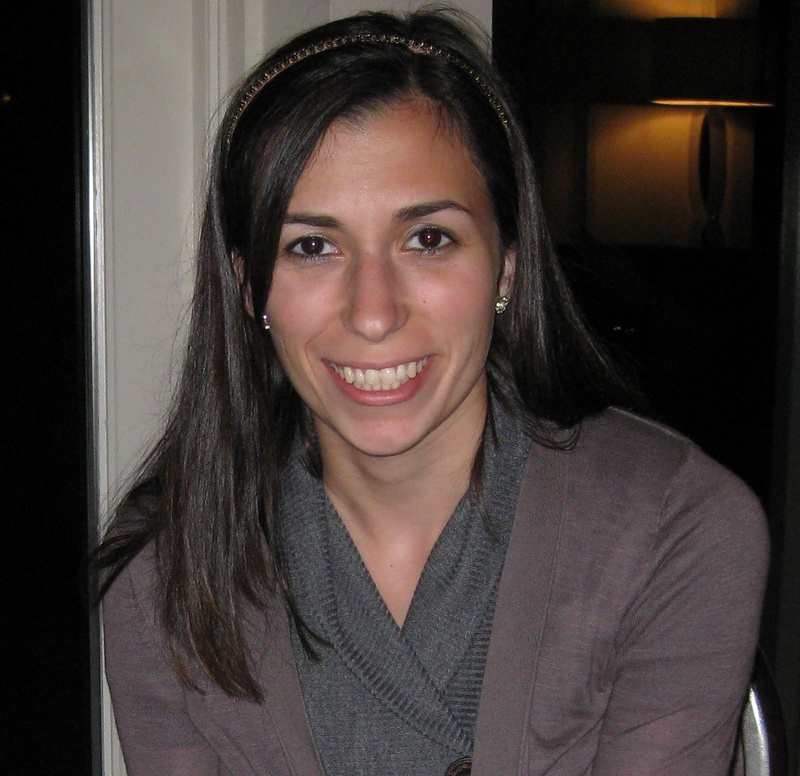 Emily is doing a great job increasing awareness about migraine. I suggest people follow her Twitter feed for a slice of "living life with migraines". Thanks Victoria for featuring her. Thanks Victoria for the feature and thank you to everyone for the kind comments! I love connecting with other migraineurs. Once I "joined" the virtual migraine community, it helped me feel less alone, and I can't thank everyone enough for that. Hope you are all well today!